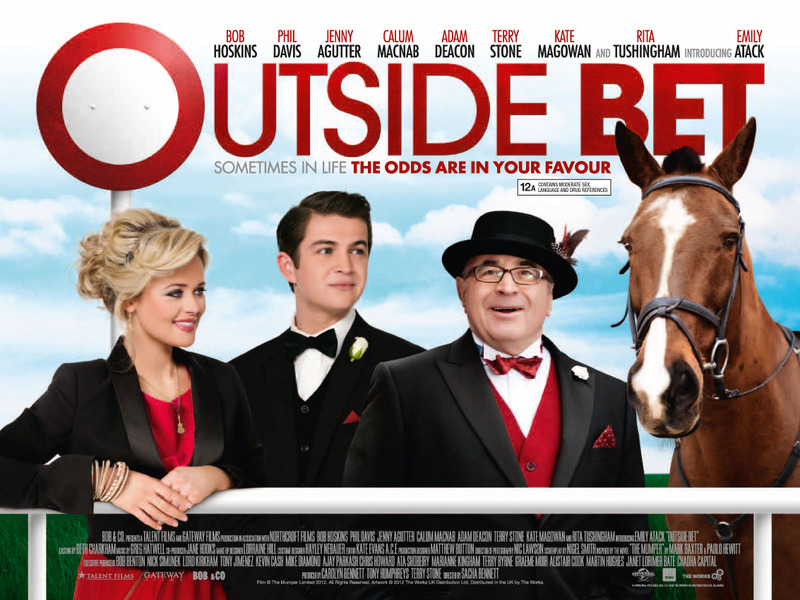 Here’s the new poster for Outside Bet which hits UK cinemas next Friday 27th April. It stars Starring Bob Hoskins (Mona Lisa, Made in Dagenham), Jenny Agutter (An American Werewolf in London, Call the Midwife), Phil Davis (Notes on a Scandal, Whitechapel), Linda Robson (Birds of a Feather), Emily Atack (The Inbetweeners), Jason Maza, Adam Deacon, Rebecca Ferdinando and is helmed by Director Sacha. If you missed the trailer which came out last month, click here to view. It is 1985. Thatcher is in power, Sade is on the radio, and the print workers have gone on strike. But nothing, not even a scale eight earthquake can put a dampener on a group of close friends that meet every Sunday in their regular South London pub for a pint and free flowing banter of the highest order. Set against the backdrop of a changing way of life-as Rupert Murdoch moves the printing of his newspapers from Fleet Street to Wapping-this is a tale of seven firm friends, who embark on a unique journey that eventually leads them to gamble all of their savings and redundancy money on a single race. Click the poster to enbiggen!